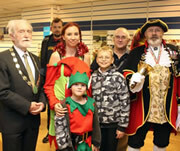 This year’s Christmas Extravaganza is on Saturday 1st December between 1pm and 6:30pm. Extravaganza veterans will notice some changes this year, so you’ll need to be on your toes. It’s that time of year again, and the Christmas spirit is ramping up. Wincanton’s Christmas Extravaganza gets the season formally underway on the afternoon of Saturday 2nd December - a change from the usual Friday night. 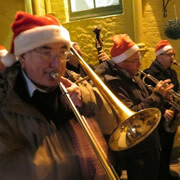 This year’s well attended Christmas Extravaganza featured many of the old favourites, including Santa’s Grotto, carols around the Christmas tree and jazz music in The Dolphin’s courtyard, as well as some new events, such as a lantern parade. The shops are decorated and full of Christmas stock; choirs up and down the land are practicing their music. We can safely say that Christmas is coming soon, and so is the Wincanton Christmas Extravaganza. After all the preparations for the 2014 Extravaganza, the event arrived and was over in three short hours. 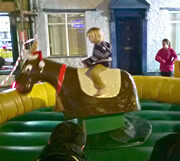 But it was a time crammed full of fun and celebration, enjoyed by a large buzzing crowd throughout the evening. 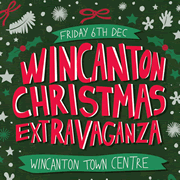 The 2014 Wincanton Christmas extravaganza will take place on Friday 5th of December 2014, from 5.00pm to 8.00pm. Be sure to visit this well established annual event for an evening full of shopping, entertainment and fun for all the family. 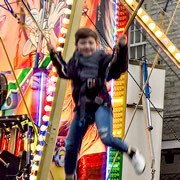 As in previous years, many people turned out on Friday 6th December to enjoy Wincanton's annual Christmas Extravaganza, with entertainment, late night shopping and carols around the Market Square Christmas tree. View our photo gallery. Christmas Extravaganza 2013 – Get it in Your Diary! Less than a month to go until this year's Christmas Extravaganza on Friday 6th December. Preparations are now well under way so make sure you put this event in your diary. Photos and write up of 2012's Christmas Extravaganza, an amazing night with a mix of shopping, carols, music and dance. Add your own photos to the gallery by sending them to the Editor. All the hard work and planning culminates in an evening of fun and shopping this Friday evening, 7th December. Read on for a run-down of the evening and a link to the 'What’s On' leaflet! 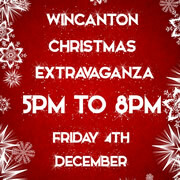 Wincanton Businesses Together is delighted to announce that the 2012 Extravaganza will take place on Friday 7th December. Preparations are well underway and all things being well it will be another great event. 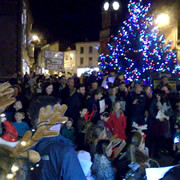 The biggest crowds yet turned up to sing carols around the Christmas tree, visit the shops and the street market, meet friends and enjoy the hospitality offered. Enjoy this photographic gallery and write up of the event. Handy With a Camcorder? Help Required at Christmas Extravaganza! Do you have a camcorder and would you like to join in with a collaborative project to create a video of the events at the Christmas Extravaganza? Christmas Begins With The Extravaganza in Just a Few Days! There are just a few days to the Extravaganza. 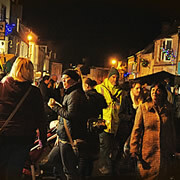 Friday 2nd December is the evening to be in Wincanton High Street, full of stalls, shops open late, fun for all the family. It's the biggest and best yet. Come and join us. 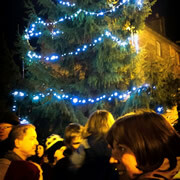 Wincanton Christmas Extravaganza Is Nearly Here! Our annual Extravaganza is almost upon us. The plans are nearing completion. The programme will shortly go to print. After that we only need two things. 1) Good weather, 2) Lots of people on the streets to enjoy the celebrations. OK, so Christmas is almost three months away. But the planning started ages ago. Another great event accompanied by good weather, and lots of fantastic people. What more could we ask for? See lots more story and pictures. The Christmas Extravaganza is Almost Upon Us! The Christmas Extravaganza is tomorrow, and I can’t believe it. There still seems so much work to be done, but it will be a great evening of entertainment and shopping. It's back! The Third Annual Wincanton Christmas Extravaganza takes place on Friday 11 December and we hope it's going to be bigger and better than ever! Well it came! It happened! And it's gone for another 12 months. The third annual Christmas Extravaganza to be held, and, as in the last two events we had a great evening with many people on the streets.